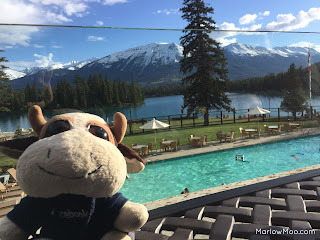 This year is the 100th anniversary of The Fairmont Jasper Park Lodge and they’ve been busy renovating the entire resort. 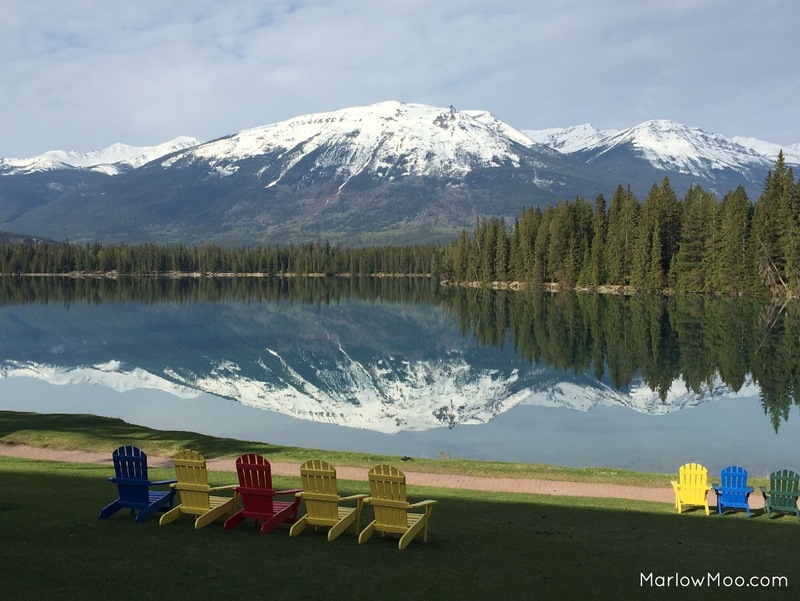 The renovations include updating accommodations, refreshing the main lodge, as well as having all staff undergo training to improve their customer service skills. The staff were all incredibly friendly and helpful, waving, nodding, and acknowledging all guests they passed as they walked, biked or drove around the property. When we arrived, we didn’t even have to get out of our car to check in, the valet gave us our keys, directions to our cabin, and we were on our way. We wound up staying in a cabin with a lakeside view, just a short walk away from the main lodge. This was one of the cabins that had already been renovated, although it appeared in places, such as the door frames, that it could use another coat of paint. The cabin itself was fairly spacious, although the furnishings were not our tastes, as they seemed a bit dated. Although we didn't have much opportunity to use it during our stay, the deck was a nice touch, allowing guests to sit outside and just enjoy the view of the lake. The amenities we tried to take full advantage of included the outdoor heated pool and jacuzzi hot tub. The humans thoroughly enjoyed swimming in the heated outdoor pool, which was surprisingly deep at one end, then shallow enough for kids at the other. The heated pool made it much more enjoyable to spend time in, being warmer than most indoor pools the humans have visited. Not to mention being a salt water pool instead of a chlorine was a refreshing change, less harsh on the eyes, hair and skin. The jacuzzi hot tub was a perfect place to kick back, relax and soak ones weary body, especially after a 3 hour horseback ride. But the best part about the pool area was the stunning view of the lake and mountains, just breathtaking! The change rooms for the pool and fitness center have everything needed, so we didn't have to bring anything other than our swimsuits. This included lockers with electronic locks, towels, plastic bags for wet swimsuits post swim, a sauna, eucalyptus steam room, showers with toiletries, hair dryer, combs, and even a flat iron! So it was easy to go from swimming to being ready for dinner without having to return to our room. The level of service provided by the staff was inspiring. The female human was particularly impressed as she spent almost 8 years working at Starbucks, who have a fairly high customer service standard. At Starbucks, their customer service skills included the “Just say yes” policy, in order to ensure no customer left unsatisfied. In order to elevate the customer experience, Starbucks partners also had a customer service model built around the keywords “Anticipate, Connect, Personalize, and Own”, in order to make every customer that walked through the door feel as though they were more than just another customer. These are all behaviors that the staff at the The Fairmont Jasper Park Lodge embodied. Unlike baristas at a Starbucks where it can at times seem forced, for staff at The Fairmont Jasper Park Lodge, it seemed natural, as they all exuded genuineness, friendliness and happiness while serving their guests. Other than during one dining experience, we never saw a dour face, or someone who didn’t seem like they had a purpose as they moved about the grounds. Their staff were always on the lookout for guests who might need their assistance, as one gentleman in a suit leaving the staff only area did as we tried to find our way off the property and into the town of Jasper. Seeing that we were obviously lost, he came over to offer his assistance. 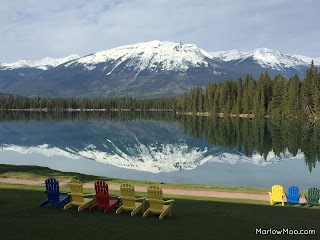 The morning we left we found our rental car with a flat tire, instead of trying to drive on the highway to the town of Jasper to find a gas station, we opted instead to drive to the main lodge. We told the valets of our issue, and they immediately began calling around to see if the maintenance staff could help us out, and told us that if we wound up having to drive into town to fix it, that they would be more than happy to put the spare tire on the car for us. They wound up sending us to their on resort maintenance shop, where the maintenance staff not only filled the flat tire for us, but examined and checked the air pressure in all of our tires for us! Hanging out the patio of The Emerald Lounge is a must on a warm evening. 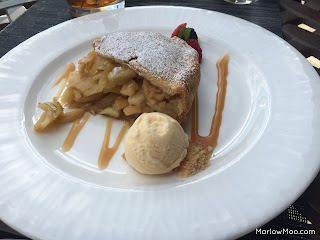 We sipped cocktails and split an apple pie while taking in the scenery. The apple pie was so good that we went back the night before we left for another! The level of customer service in the lounge is the same as the rest of the resort. I was particularly impressed with the servers we encountered on our two visits, Yanni and Brittany, both of whom took the time and made the effort to actually get to know each and every guest they were serving, despite how busy they were. I could hear them trying to find ways to make personal connections with each of their diners, asking not only about their plans in Jasper, but where they were from, what they had done that day, etc. They never seemed fazed by anyone trying to hurry them along, and made sure to answer any questions diners had thoroughly. Brittany, the server from our second visit, admitted she knew very little about the white wines and dessert wines on their list, as she normally enjoyed red wine. So instead of trying to fake an answer to my question about the sweetness of a dessert wine, she instead got me a sample so I could try it out for myself before committing to paying for a whole glass. I absolutely enjoyed my stay at The Fairmont Jasper Park Lodge. It’s definitely a pricey place to stay, but given that it’s supposed to be a luxury resort, the price was not unexpected. Everyone should go and stay there at least once in their lifetime. The scenery is beautiful and the level of service provided by staff is above and beyond anything I’d experienced at any other hotel. The Fairmont Jasper Park Lodge is having a contest to celebrate their 100th Anniversary. 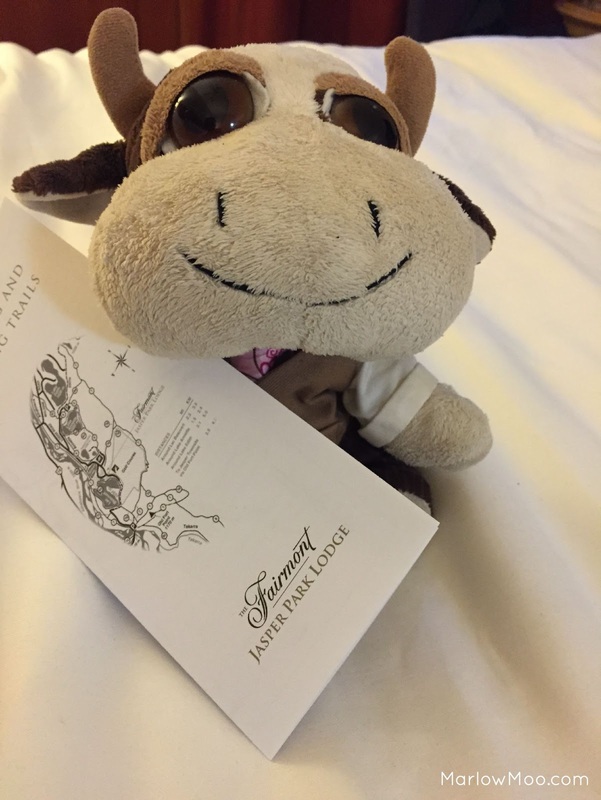 Share your favourite Fairmont Jasper Park Lodge experience on Twitter using the hashtag #JPL100 for a chance to win a stay for the same price they paid 100 years ago… 25 cents per night! 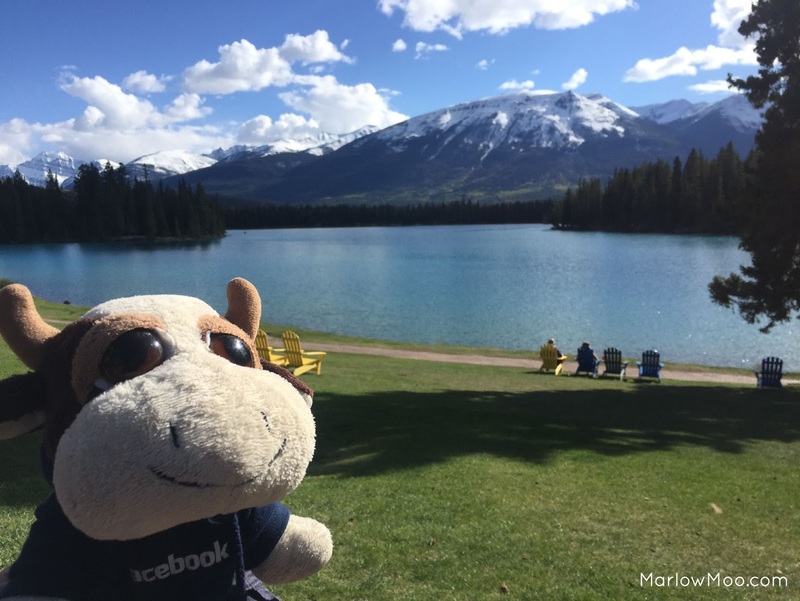 They will pick one winner from Calgary and one winner from Edmonton to stay at The Fairmont Jasper Park Lodge for just 25 cents per night. You can also enter via FaceBook. Contest closes June 12, 2015 at 5:00pm MST.